Women love makeup. They love everything about it. From buying to putting it on, everything about makeup really turns a woman on. However different makeup products are not easily available everywhere. So online makeup stores are very popular over the net. 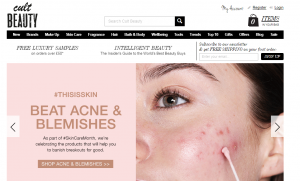 There are thousands of websites selling makeup products. It is a difficult decision to make that from where to buy your favorite makeup product. So here we have come to rescue with a list of best makeup sites to get your makeup from without spending extravagant amount of money. We have compiled the list of best makeup sites by picking sites that cover lots of makeup products from multiple brands and not the sites that are dedicated to products of just one brand. The first website in our list is lookfantastic.com. It is one of the largest European retailers of makeup and boost of more than 14,000 makeup products from leading brands of the world like MAC, Bobbi Brown, NARS etc. The range of products is huge from lipsticks, eyeliners, primers, enhancers, highlighters and what not. There is a wide range of nail products too. The sites has shipping for a wide geographical range. Do check out if your country is on the list and enjoy world class makeup delivered to your doorstep. What’s more, the delivery is free worldwide. Another great website, it is a great place to get makeup at a discounted price. Here you can buy makeup from people who have preowned the stuff but do not need it anymore. The makeup items are usually new or hardly used. You can be assured of the quality because Glambot checks the items before putting them up for sale. In this way you can get expensive items from top quality brands at good bargain prices. This is another great site with a shipping range of a lot of countries of the world. There are brands like Huda Beauty, Pixi, BECCA and many other available. 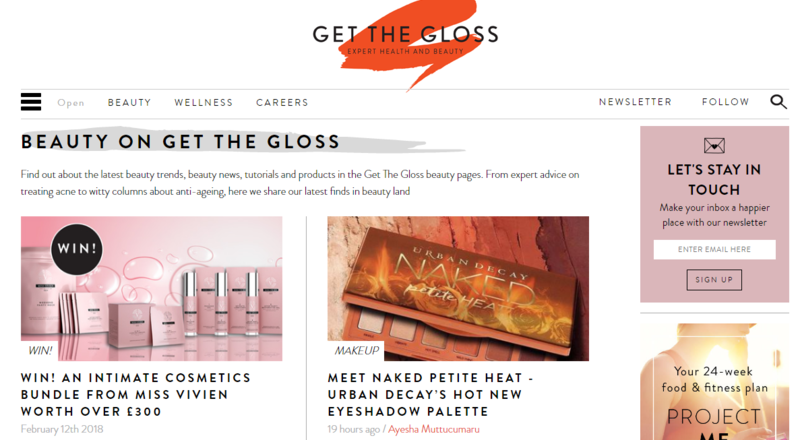 Apart from beauty products, their blog is quite informative and have good amount of news about the beauty products. Along with beauty items, there are details about how to use them in the best possible way. Do try out his site, for best possible results. Which is the hottest trending make up product and what are benefits of which product. 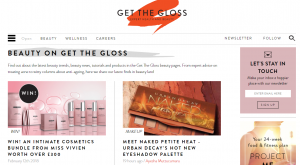 Now you can know all the benefits of each and every makeup product through the authentic and detailed reviews of these makeup items on Get the Gloss. It is not exactly a web store but very helpful in deciding which product to buy. These days markets are flooded with makeup products. It is a very tough decision to make that which brand of foundation suits you or which brand of highlighter looks good on your skin. So for this tough choice, you need the honest reviews from Get the gloss to help you make an informed decision. Another site that can help you save a lot of money. Although the sales on Haute look are great but they are only for a short period of time. So in order to really get benefit from this site you need to be really hooked to it. So when the sales start you can quickly get the item of your choice. Otherwise the products that you want either get out of stock or the sale is no longer remains active. But there is one small problem and it is that you need to login before you can start browsing the site. However to get you motivated to use it, the sales can be between 25% to 75%. So if you are getting 75% off on your favorite item a little sign up might not be a problem for you. Apart from Makeup items the site also has a good amount of apparels for men and Women. Another great website for hand made products. Although the main focus of Lush cosmetics is on items like face wash, scrubs, bath bombs, soaps and masks. All the products are animal friendly and mostly based on vegan items. As the products are handmade, they are not usually any side effects and people with sensitive skin can try them out easily with the worry of having any allergic reactions. However they do not ship to many places so it might be a trouble if you are not living the right region to get the products. When it comes to beauty products, Sephora is a known name. 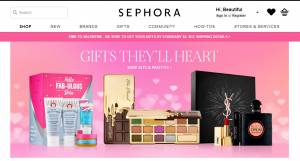 Makeup, skincare, hair care, fragrances, bath and body, whatever comes to your mind with regards to makeup you are sure to find it on Sephora. 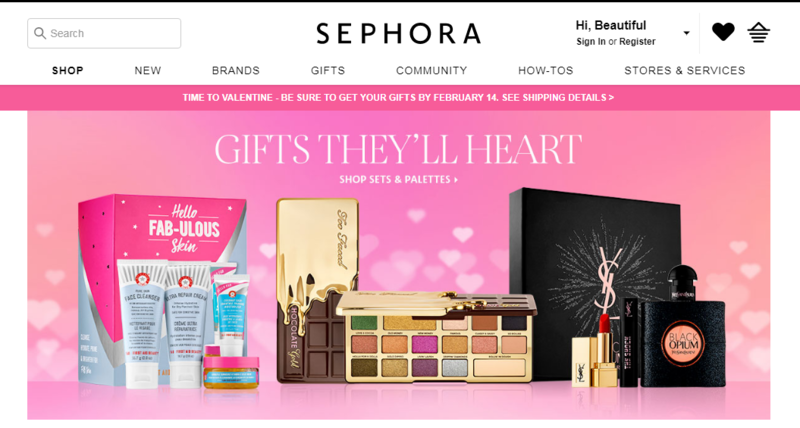 It has a long list of countries where it can ship to so it is easy to get the products for your choice from Sephora and get them shipped to your doorstep. You can get everything from Sephora. Brands like Huda beauty, URban Decay, Chanel, Olaplex, Marc Jacobs Beauty, All are available under one roof. There is an active community of beauty lovers that can give you some cool ideas. Also there are buying guides about different beauty products that can introduce you to some cool new products. So this was our list of best makeup sites online. 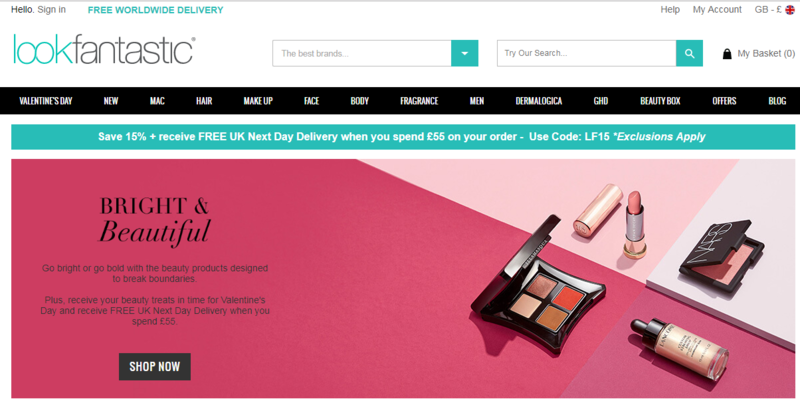 There are a number of other makeup sites too and you can find a variety on sites like amazon, alibaba and ebay too. Let us know which is your favorite makeup site that you always turn to, to get your hands on the latest makeup products and if it is the part of our Best Makeup Sites list.